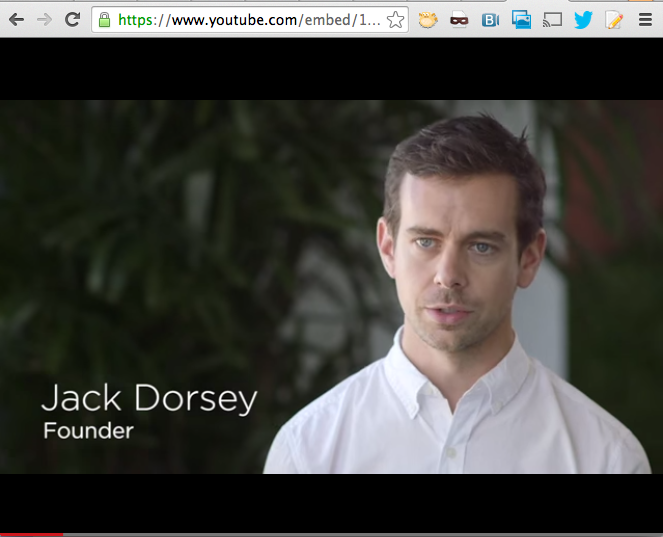 Video clips and audio streams have a special place on the Twitter platform thanks to the Player Card. By implementing a few HTML meta tags to your website and following the Twitter Rules of the Road, you can deliver your rich media to users across the globe. Card Validator はカードのシミュレートを体験するものなので、プレイヤーカードが設定された場合に表示されるカードと完全に一致するわけではありません。 (具体的には、 twitter:player:streamを設定せずにtwitter:playerのみを設定した場合、再生されない静止画が表示されます。) 我々は現在もこれの改善を続けています。そうは言っても、 it does indicate if your basic configuration works. The Card Validator is a simulated Card experience, and it won’t be exactly what you see when your Player Card is live. (In particular, if you only supply a twitter:player with no twitter:player:stream, you’ll get a static, non-playable image.) We’re working on improving it. That said, it does indicate if your basic configuration works. To further help you in building your experience, below are instructions on how to test your experience across the various platforms. 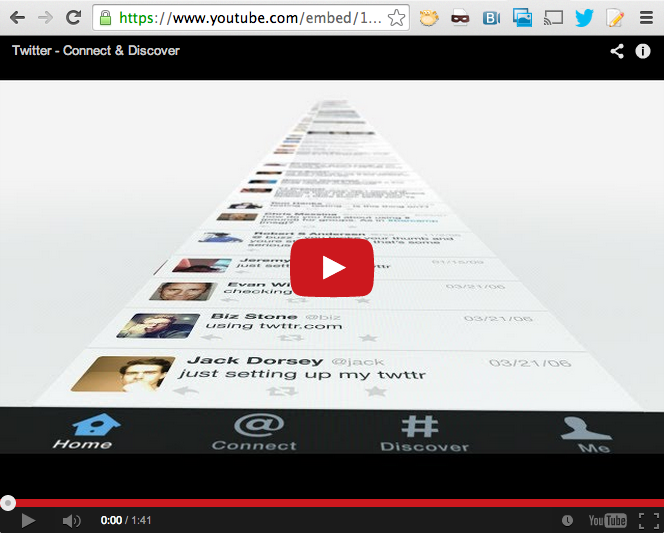 Enter the twitter:player URL in a browser. In the image to the right, note that the video has NOT yet begun play, takes up the entire space, and the secure browser lock (top left) is still intact. Please note that an active mixed content warning (signified by a red ‘X’ over the lock) will not be approved. Secondly, in the image to the right, the video has begun play. Enter the twitter:player URL in a browser on iPhone, (If implemented using twitter:player, and not twitter:player:stream.) In the image to the right, note that the video has NOT yet begun play, fits the full screen, and the secure browser lock (top left) is still intact. As noted previously, an active mixed content warning will not be approved. Similar to instructions for iPhone, enter the twitter:player URL in a browser on Android. (If implemented using twitter:player, and not twitter:player:stream.) When opened, the video has NOT yet begun play, fits the full screen, and the secure browser lock (top left) is still intact. As noted previously, an active mixed content warning will not be approved. あなたのコンテンツをTwitterに組み入れることによって、全てのプラットフォームの全てのTwitterユーザーに安全で一貫したサービスを提供できるのではないかと期待しています。 Our approval process includes testing your experience across the various platforms, as well as re-validating it periodically. Our team is excited to bring your content to Twitter, and in a way that allows for a secure and consistent experience to all our users and across all our platforms. Our approval process includes testing your experience across the various platforms, as well as re-validating it periodically. Before submitting for approval, ensure that you’re using *your* content, and not the content provided in the sample code bundle. Player Cards are usually approved in a few business days. Please be sure to check your e-mail (and spam folder) often for updates from our approval team. Build your HTML page used in the iframe (referenced via twitter:player:stream) to be responsive, ensuring the video content fills the full width of any display area provided, across all clients. Do not build end-to-end interactive experiences inside the video or audio player unrelated to Player Card content, such as the following: purchasing, gaming, polling, messaging, and data entry. Instead, build these interactive experiences with our other Card types or enhance your Player Card content with links to your website or mobile application. We’ve published our Twitter Rules of the Road, which cover the broad strokes of policy when building on the Twitter platform. The below bullets make these requirements concrete for Player Cards. Test your experience across all Twitter clients, including Twitter’s iPhone and Android apps, as well as twitter.com and mobile.twitter.com. Cards that do not work in all Twitter clients listed will not be approved. Use HTTPS for your iframe, stream and all assets within your meta tags. Mark your Card as ‘true’ for sensitive media if such media could be displayed. Do not circumvent the intended use of the Card. Player Cards are reserved for linear audio and video consumption only. Do not require users to sign-in to your experience. Do not attach additional interactivity outside the video or audio player (e.g., banners or non-standard buttons). Do not generate active mixed content browser warnings at any point during the audio or video experience, either on load or during play. For more information, see the Troubleshooting Guide. Due to platform capabilities, player cards work a bit differently on each client. Below is a quick rundown of the behavior across various platforms. If twitter:player:stream is provided AND the twitter:player:stream:content_type is specified as “video/mp4”, the app plays the stream URL directly from the app. If no twitter:player:stream is provided, the native app opens the URL specified by twitter:player in a simulated browser. Again, specifying an MP4 file and indicating twitter:player:stream:content_type as “video/mp4” will allow playback of the video inline in our mobile applications. See the Technical reference section below for more details. 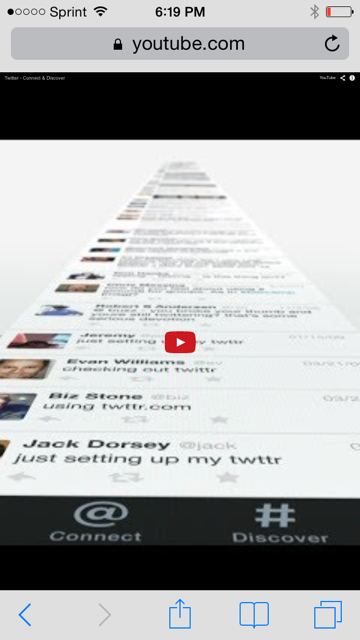 The iFrame player will be scaled to fit the appropriate width, maintaining the original aspect ratio as provided by the twitter:player:width and twitter:player:height. On mobile.twitter.com and other clients, the image preview is displayed, and links directly to the URL in the user’s Tweet in the default web browser of that platform. 動画: H.264, ベースラインプロファイル (BP), レベル 3.0, 最大で 640 x 480 の 30 fps. The Twitter @username the card should be attributed to. Required for Twitter Card analytics.